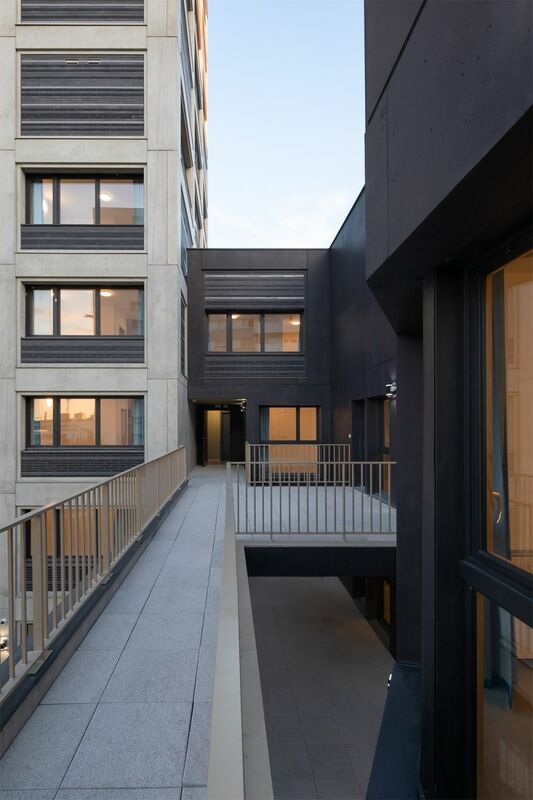 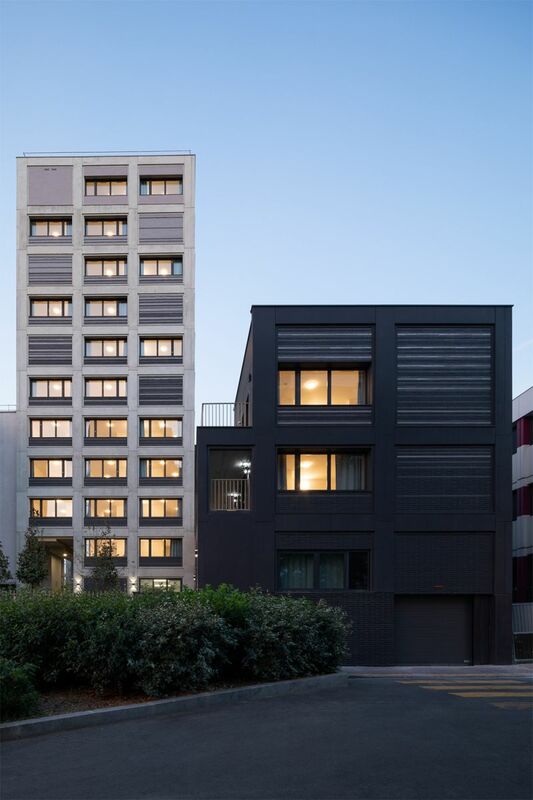 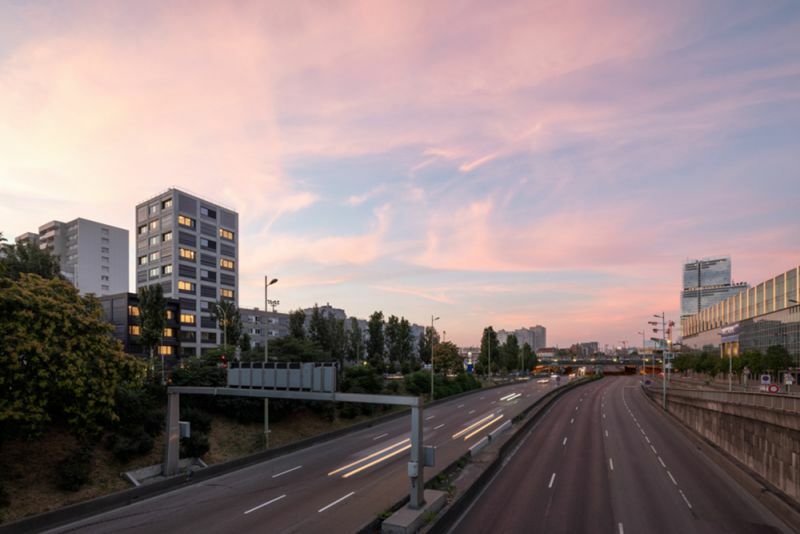 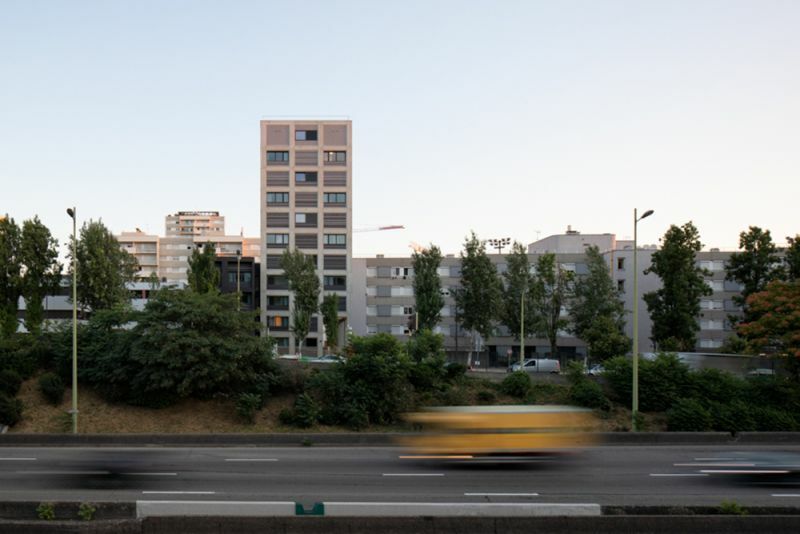 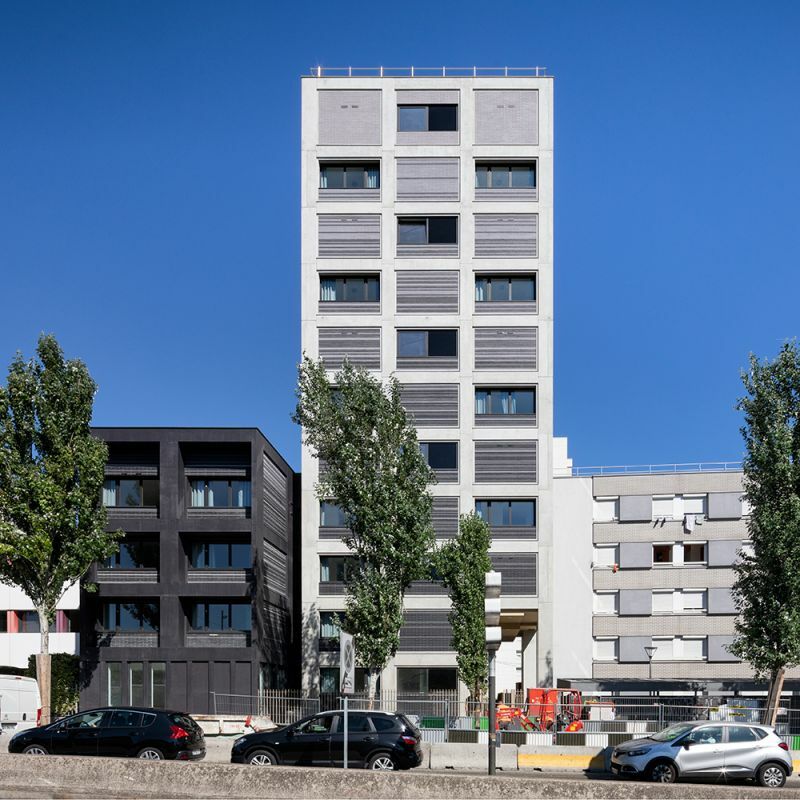 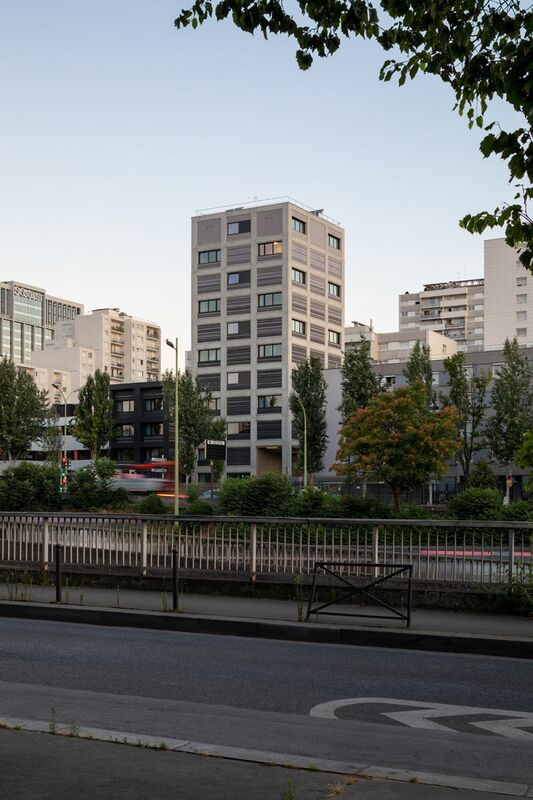 The new Fort de Vaux 2 residence, located on a residual plot of land belonging to the client, contributes to reinterpreting the urban façade seen from Paris’s ring road. 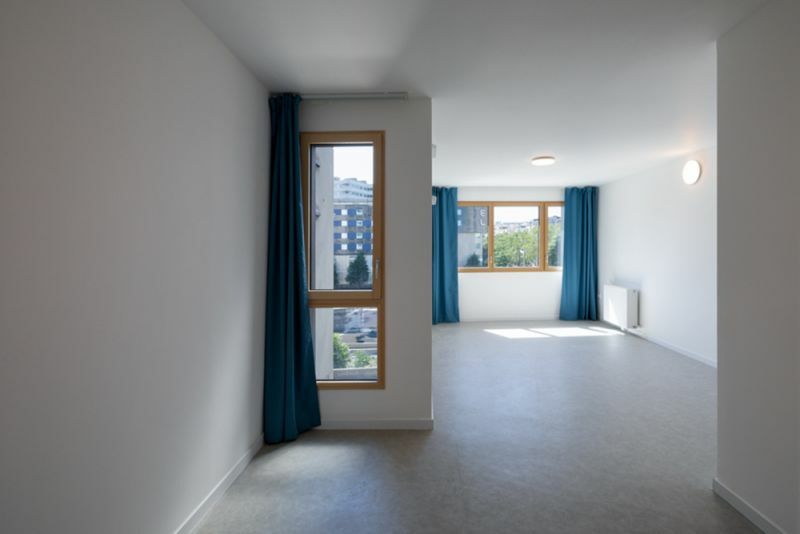 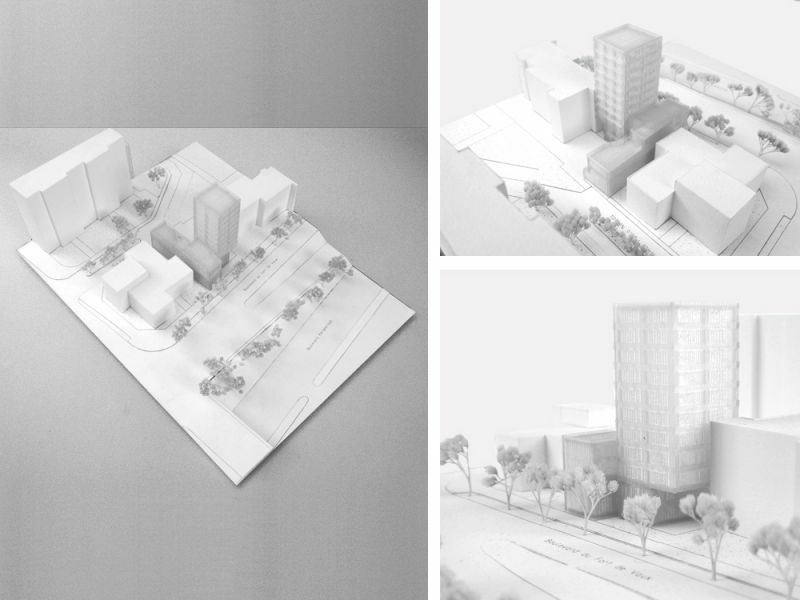 The project is based on an ambitious approach for the construction of “small, high-quality buildings”. 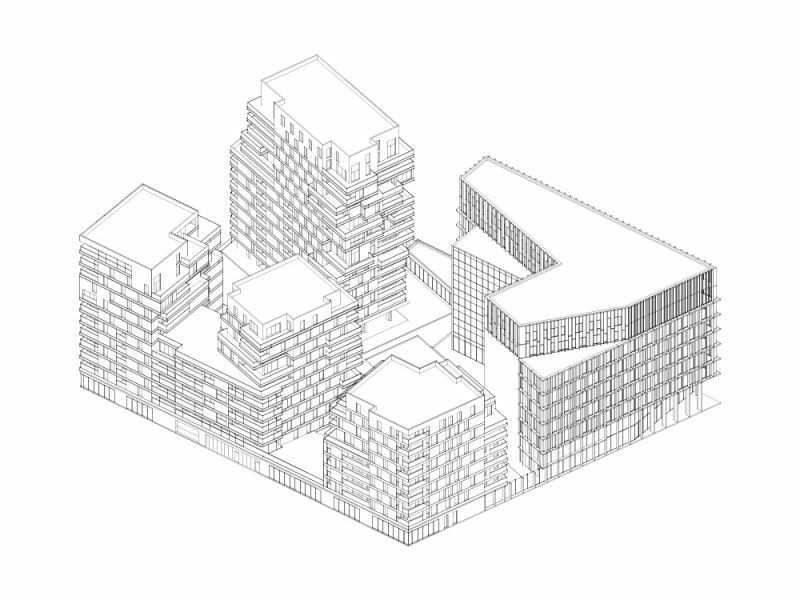 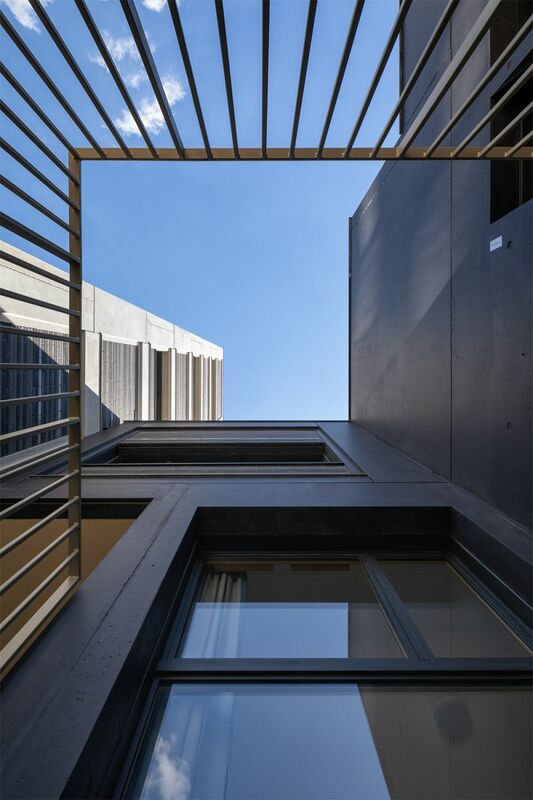 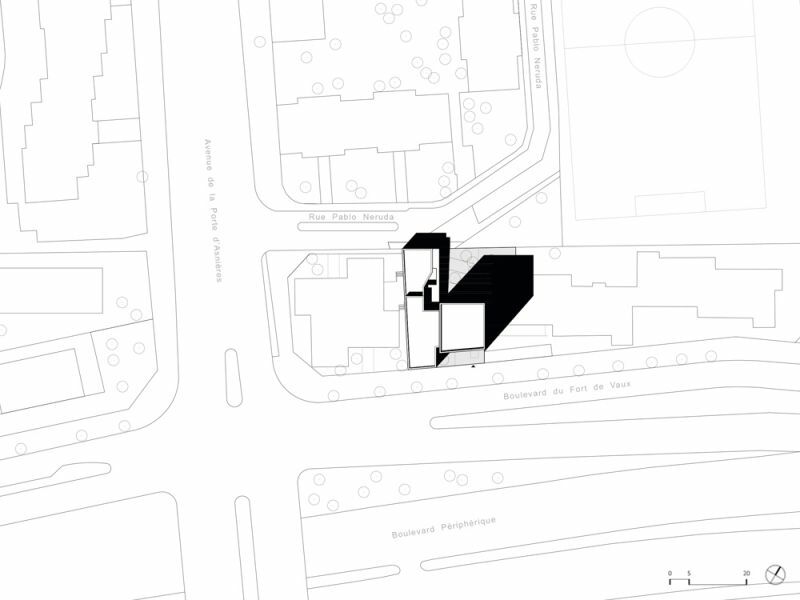 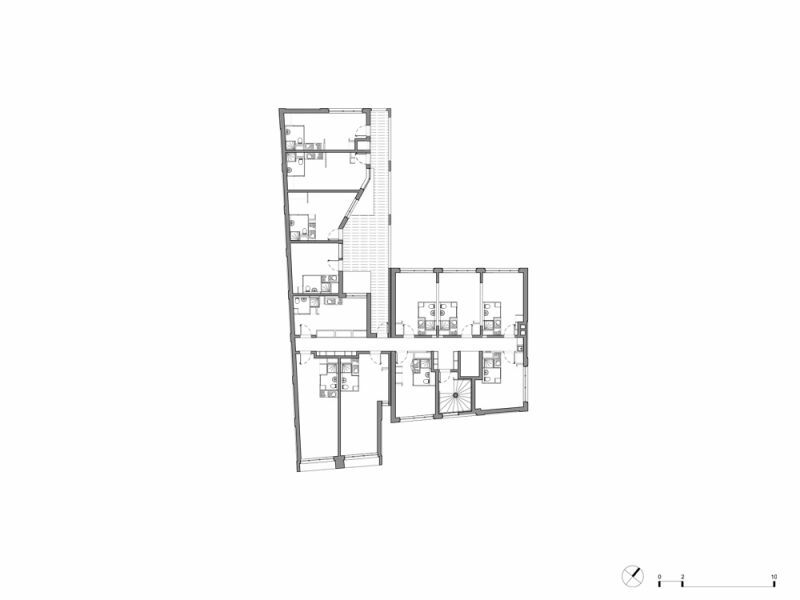 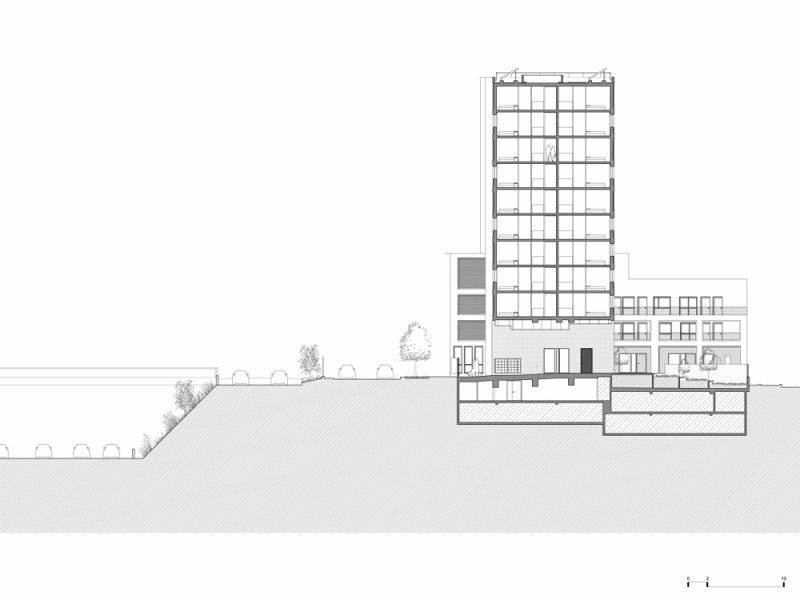 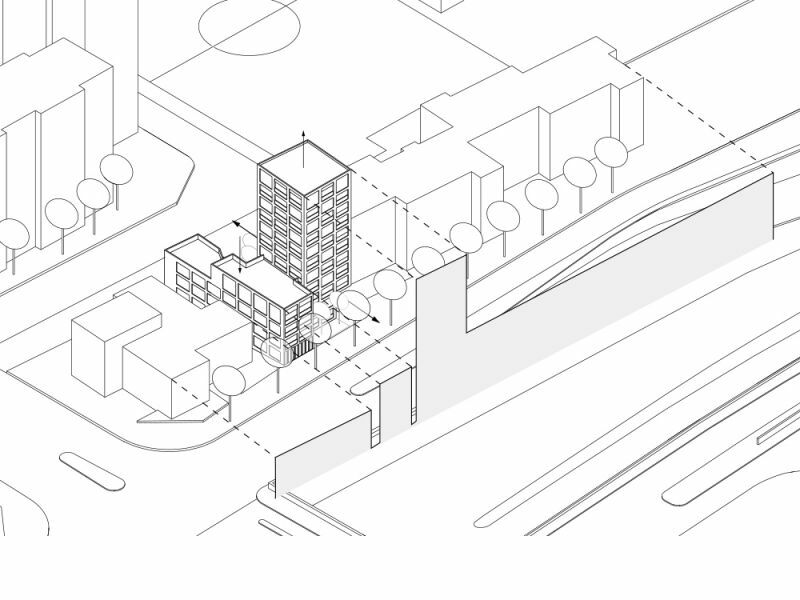 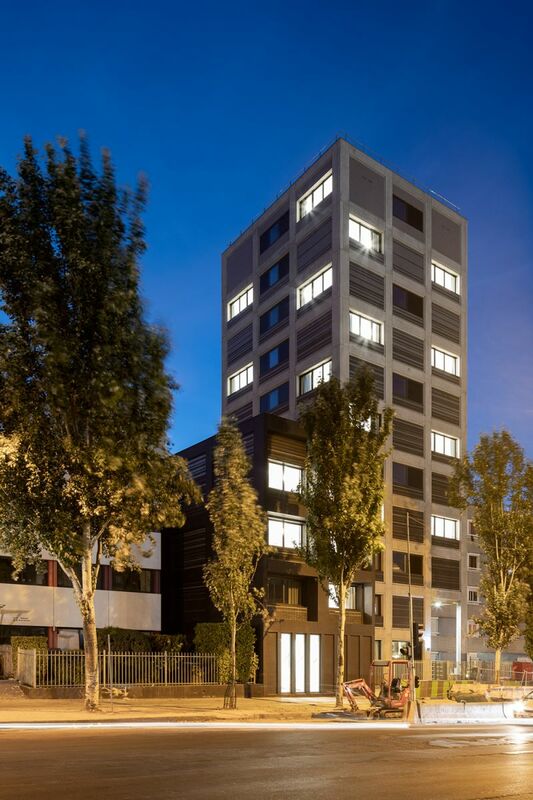 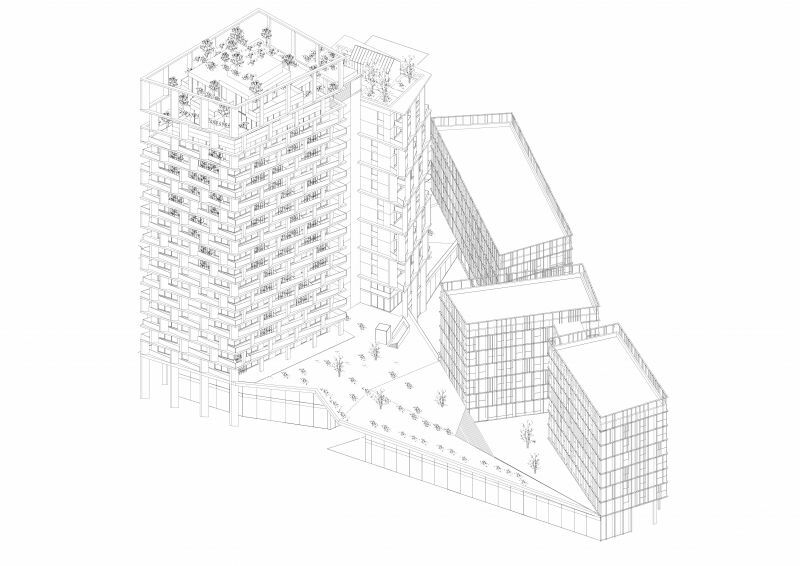 The project comprises two volumes: a four-storey “strip” building with proportions similar to those of neighbouring buildings, and an eleven-storey “beacon” building, offering distant views over the town. 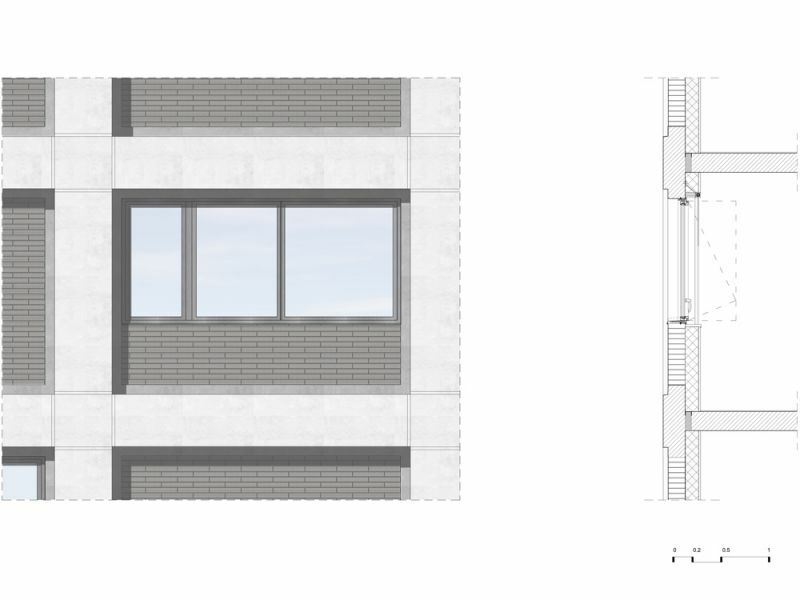 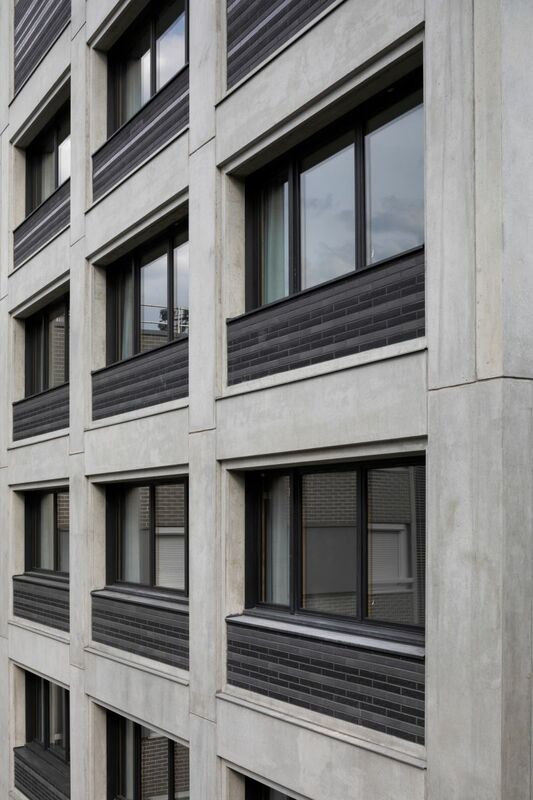 The monolithic vocabulary and the design of the structure create a specific language that defeats the limitations due to repeated window patterns typical of this type of programmes.